PD: Tom, tell us a bit about the Team Gladiator Project? How long the group has been together, it's nucleaus and prior projects? TW: Tony (the owner) started competitive sailing big boats in the UK in the 90's his first race boat was a farr 45 Atomic which was campaigned in the solent. 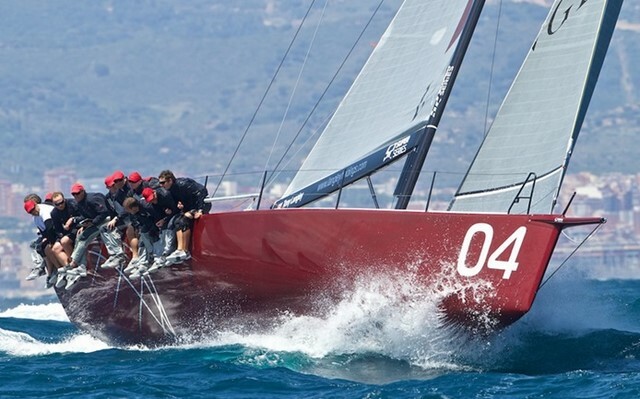 He started in the 52 fleet in the med in 2009 with his first TP52 Weapon of Choice. Ex Matador 07. At the end of 2010 Gladiator sailing team was born and the 09 Artemis boat was purchased and renamed Gladiator. This boat is still campaigned now and having just won Cowes week with it we are off to NZ for Bay Week. In 2015 we built a new boat for the super series and campaigned this in the SS for 2 seasons as well as various events in the UK on the 09 boat. After Key West 2017 there was an option to get out of phase with the SS fleet and buy a new generation boat this was done and with Tony's love for the US and it's sailing scene he decided to keep the 2015 boat this side of the pond. Having toured the east coast with fun and success rumours were that there was a pretty decent 52 class developing on the West coast. 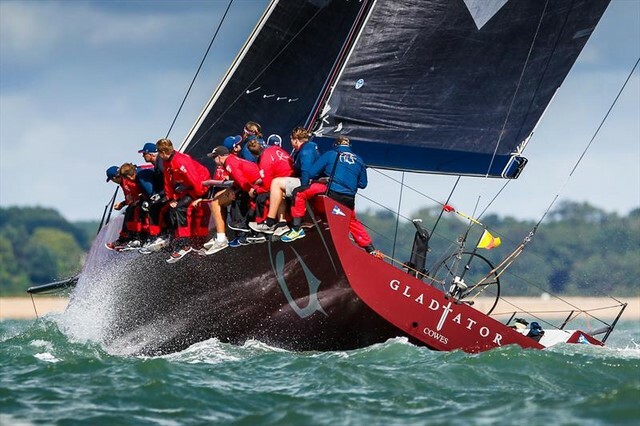 Tony not being one to miss out on an opportunity to go sailing realised we could squeeze in another event to the calendar making the PAC Cup the 14th regatta this year for the Gladiator Sailing Team! PD: If we are correct, Tony Langley still owns 2 Gladiators, the older red 2009 edition, built by Cookson for Artemis in 2009, and the new black boat, built by Persico in 2015(?) Can you tell us the minute differences in the the two boats and performance between the two? Differences between 09 & 17 are huge but 15 and 17 are not so big we are still learning the 17 boat but initial signs show performance gains in MOST conditions but not all!!!! As the results from the last regatta show we still have a lot to learn. PD: Which of the two will be joining the PAC 52's in San Francisco and the 2018 season? PD: The new Gladiator recieved a rude welcome in Miami when it was T-Boned ny Sled, but the team bounced back and raced in the older boat. How did the team rally to get back on their feet? TW: As you can imagine one race into the regatta in our new boat coming 2nd in the race we were all gutted when the crash happened. This just shows the strength in depth of our team. Knowing we had a spare boat just 70 miles up the coast we were never going to pull out of the regatta. We managed to turn a boat around that was sat in the yard in West Palm Beach ready for trucking to Charleston to racing in Miami in 24 hrs. A huge effort from not only the shore team but also the sailors. While all this was going I also knew that we had something major to achieve to get the 2017 boat back on the water for the first event in the med. So within hours plans were made to get this boat ready for shipping to our friends at Persico who we knew would be up for the challenge. The rest they say is history the boat is as good as new. PD: What was the impetus to engage in the PAC 52 events in 2018 and will that mean Gladiator will not compete in the 2018 Med Cup? PD: Any rumors of any additional Med Cup boats/teams considering joing the PAC 52 Circuit? 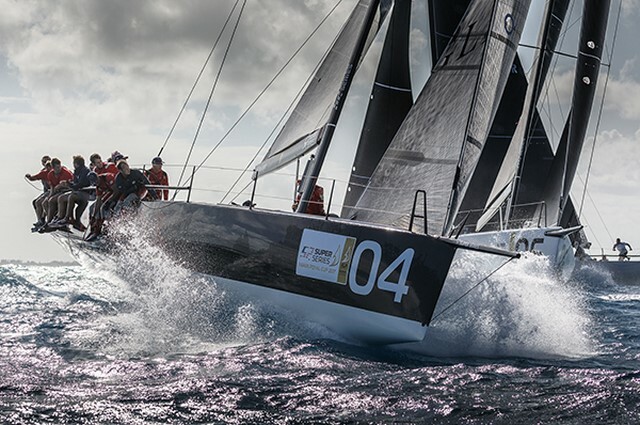 TW: 52 Super Series is still probably the highest level of monohull sailing in the world right now, however with rumours of a few new boats for next year in the med if Gladiator can prove to be competitive at this regatta you may see some of the 2015 generation boats heading this way. I personally think it's a bit of a shame the two classes couldn't have joined forces a little more and been a bit closer with their box rules. With the Super Series making a bi-annual trip to the US I'm sure it would have encouraged owners to the West Coast for a few events! PD: We look forward to seeing Team Gladiator here on the West Coast, good luck in your campaigns!